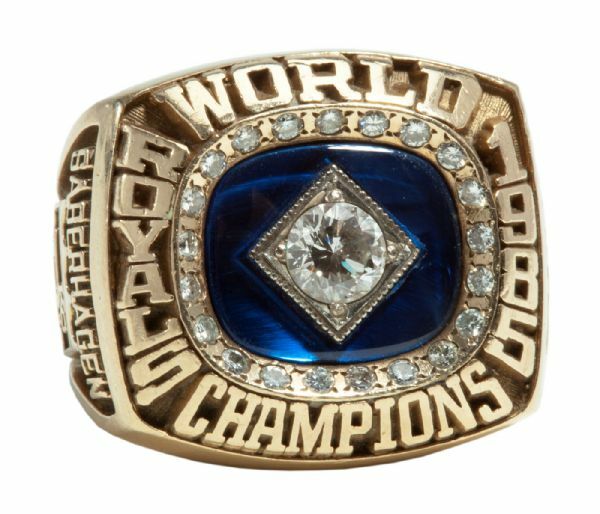 In 1985, the Royals lost ten more regular season games than their World Series opponents the St. Louis Cardinals, but won the four games of the year that counted most. 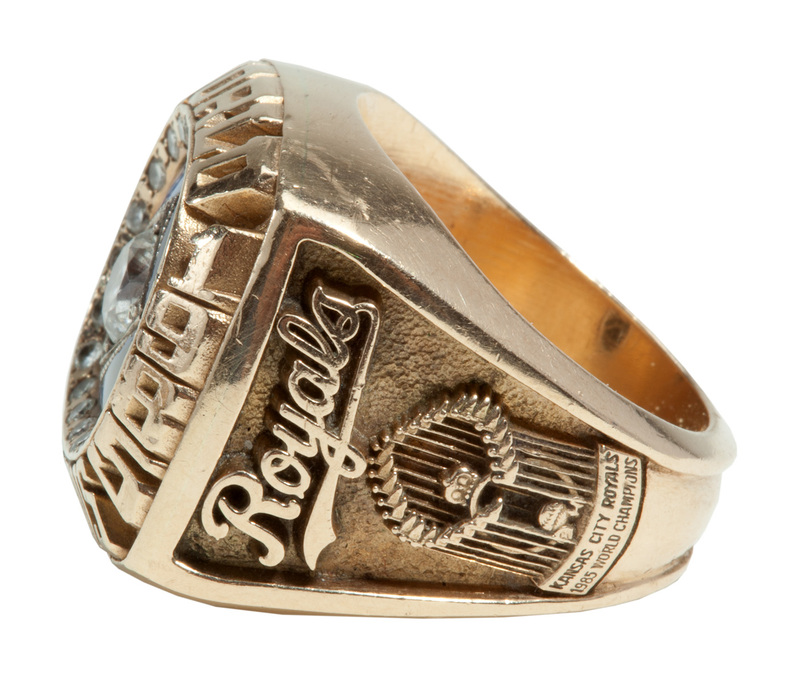 The Royals captured a dramatic 7-game World Series victory over the Cardinals, with K.C. superstar George Brett batting .370 for the Series. 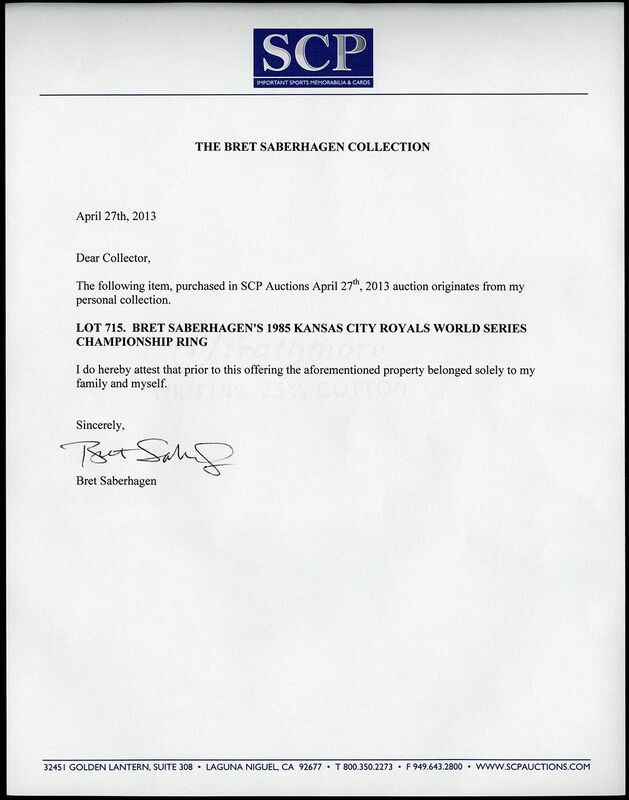 It was teammate Bret Saberhagen, however, who claimed World Series MVP honors for his two complete-game victories. 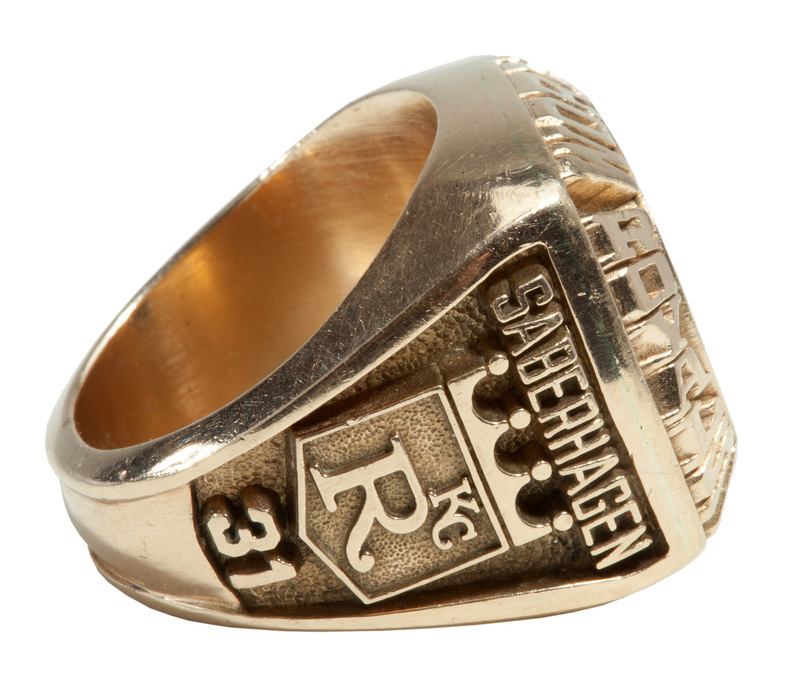 Presented is here is, arguably, the most significant piece of Kansas City Royals memorabilia ever brought to market, Bret Saberhagen’s original World Series ring from that memorable 1985 season. A Royal-blue stone provides the backdrop to a diamond set in its center. Encircling the blue stone are 21 smaller diamonds. 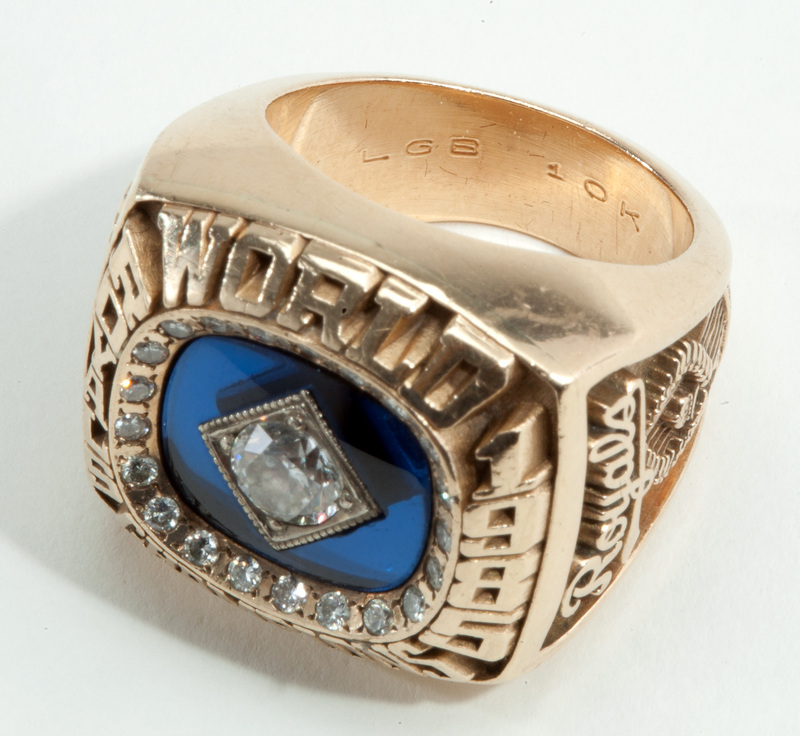 The perimeter of the face reads “WORLD CHAMPIONS - ROYALS 1985.” The shanks display “Royals,” a relief of the World Series trophy, the Royals emblem, Saberhagen’s name and his number (“31”). The interior band is marked LGB 10K. Moderate, but not excessive wear is evident. This is an incredible showpiece from the one and only world championship in the history of the Royals franchise, from arguably that teams most dominant force.